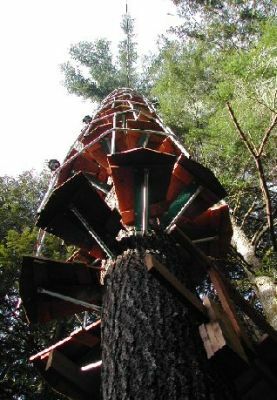 Constructed by Cedar Compher in 2003, the 82' Stairway To Heaven spiral staircase is the only structure of its kind and rated as one of the top twenty spiral staircases in the world. 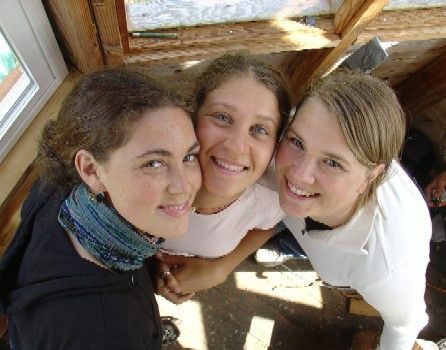 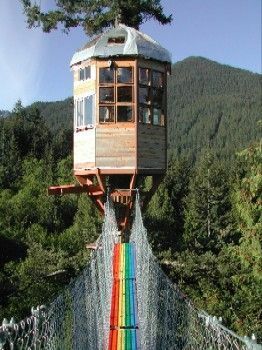 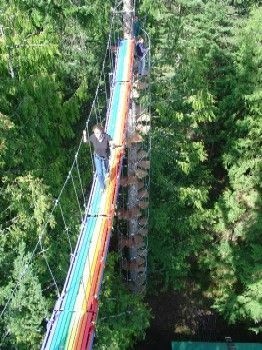 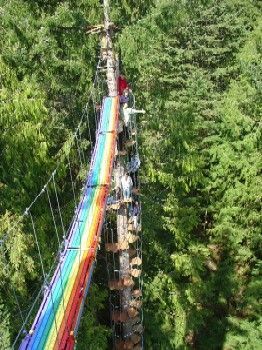 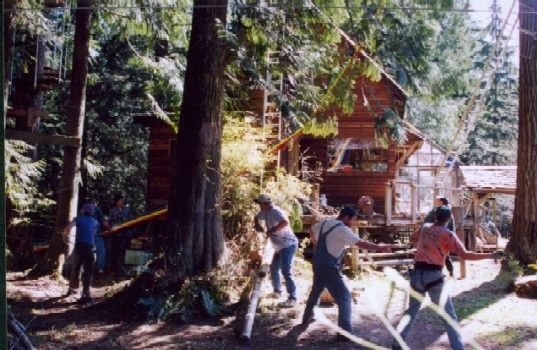 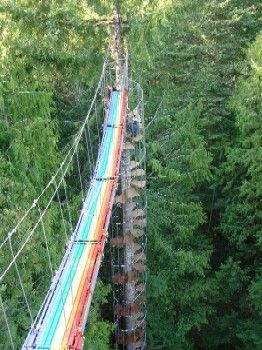 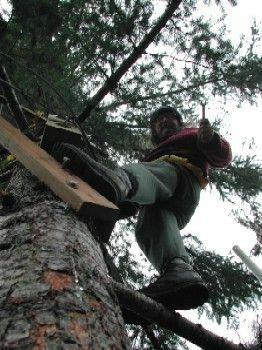 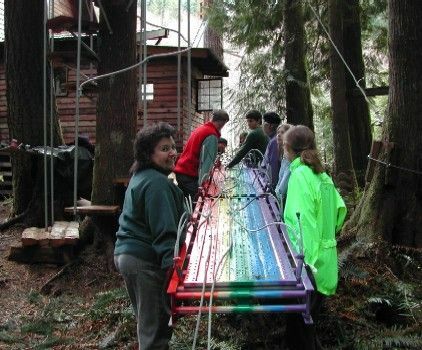 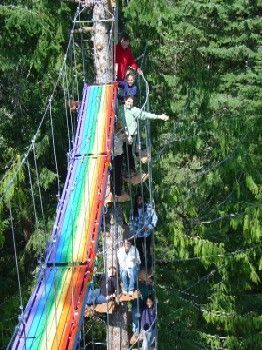 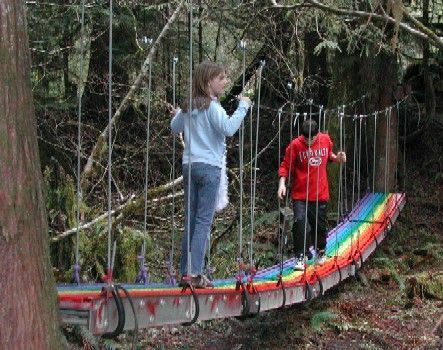 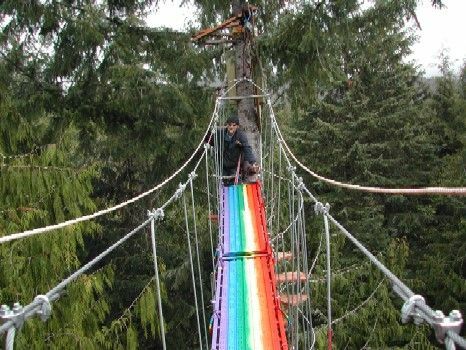 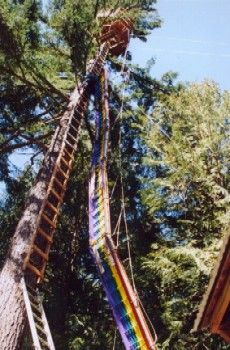 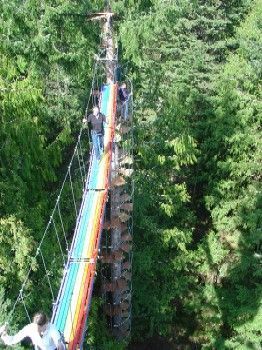 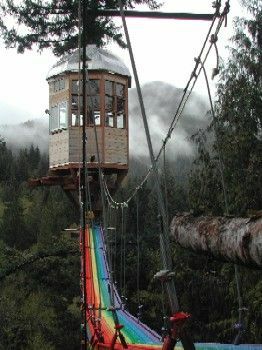 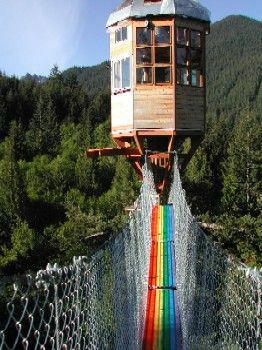 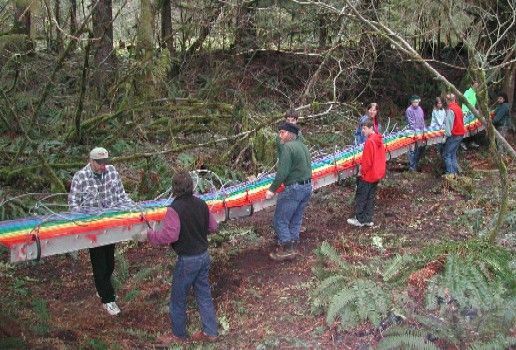 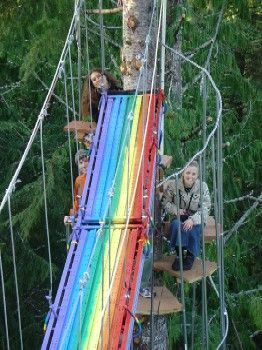 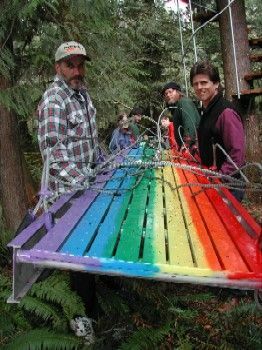 The Rainbow Bridge, 43' long and 82' above the forest floor, was hoisted Easter Sunday 2004, requiring a crew of ten. 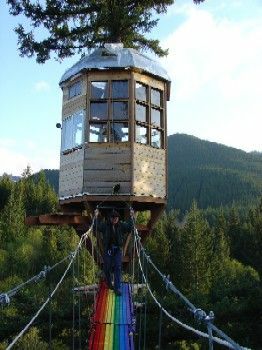 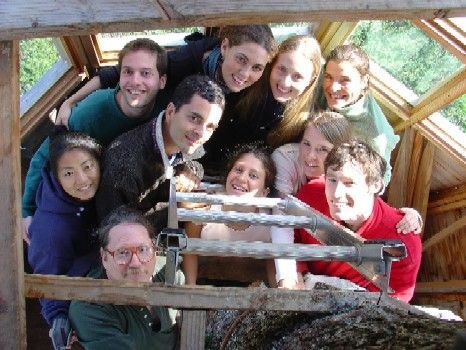 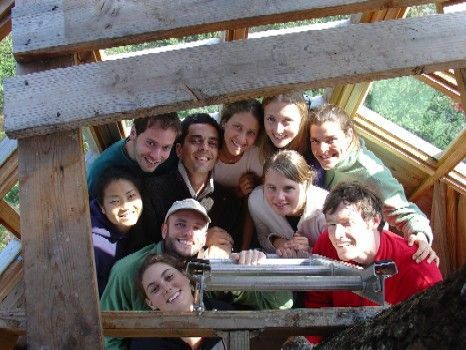 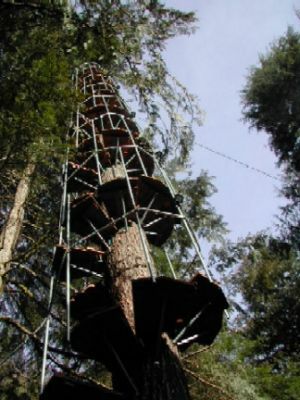 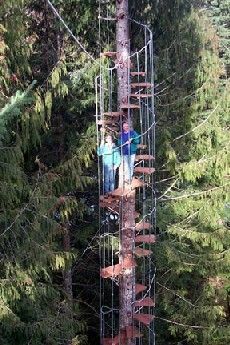 Guests enjoy the thrill of ascending the spiral staircase and crossing the bridge on their tour of the Treehouse Observatory.